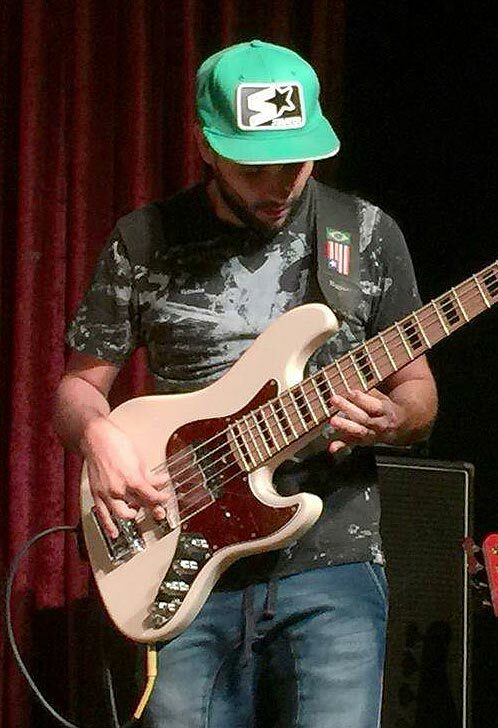 Júnior Braguinha began playing the bass at a very young age. His first gigs were at the church band along with his father. By 14 he was playing on his first professional recording session. A virtuoso player, Braguinha has a very peculiar way of blending styles and rhythms like Fusion, Funk, Jazz and World Music. A very busy session player among gospel artists in Brazil, Braguinha recorded with artists like Jack Ribas, Leonardo Gonçalves, Daniela Araújo, Família Soul, Coral Kemuel, Renato Max and many others. He also played and toured with some of the great names in brazilian music like Jessé, Alexandre Aposan, Fininho Drums, André Guede, Silvio Depieri and others. Braguinha is also a member of the drummer Virgil Donati’s group. In 2016 he recorded a DVD with brazilian guitar virtuoso André Nieri. Júnior Braguinha is an official endorser in Brazil for Mayones.